312 pages | 400 Color Illus. Expand your animation toolkit with foundational animation techniques, software expertise, professional best-practices, proven and time-tested work flows. 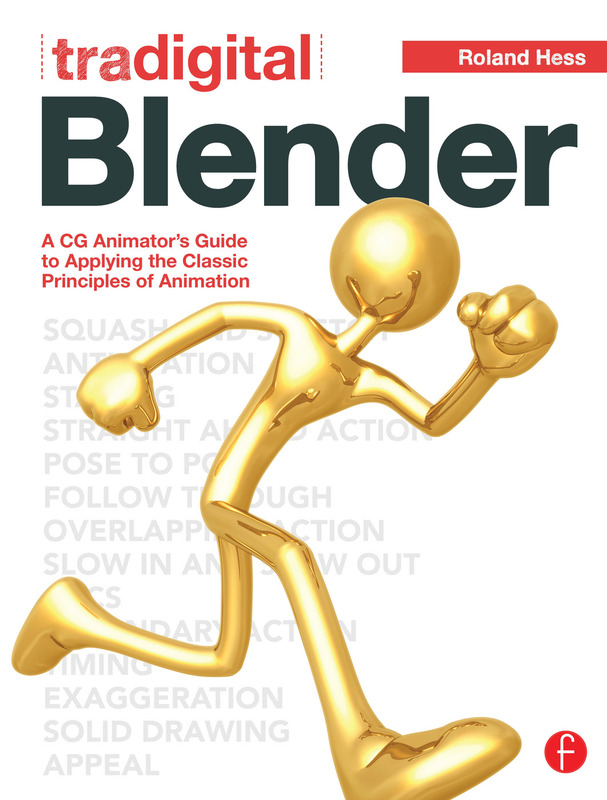 Roland Hess, a leading Blender artist and instructor, expertly navigates you through Blender's character animation systems and controls, with a focus on each of the classical principles of animation like timing, anticipation, appeal, staging, exaggeration, squash and stretch and much more. Unique from other software titles, the Tradigital series offers a specific tool-set of practical instruction and foundational knowledge that all great animators will need to know. Expand your digital workflow to include the practical resources with the robust companion web site that include demonstrations, project files, links to further resources, available at http://www.focalpress.com/cw/hess-9780240817576/. "2011 PROSE Award Winner for Art Technique"
Chapter 6: Interpolation. PRINCIPLES: TIMING, SLOW IN/OUT .